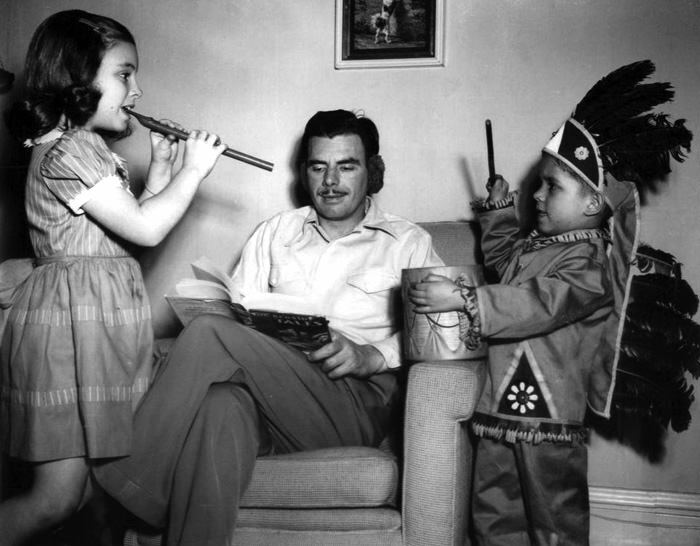 In the hierarchy of communication, the most effective form of storytelling is probably also the oldest: the extended family gathers around the communal fire as the elder regales them with tales of the hunt, or important events from the community's history. Literature would seem very high on the storytelling hierarchy, but to be honest the need to transpose the printed word into mental images places a great burden on some audiences. We have discussed the ability of radio drama to create more fantastic mental images than the screen for science fiction and horror stories, but does radio work with serious literature? The man who did the most to explore this question was Nelson Olmsted. Olmsted is best remembered for his Sleep No More horror series from the mid-1950s, but he established himself as NBC's "resident storyteller" in the 1930s. The typical Olmstead broadcast was a somewhat different studio experience from a usual radio drama. In the studio for a show like Suspense or Escape, there would be "the crew" (usually just the announcer, the organist and the sound effects man) and "the cast". Even though there would usually be fewer players than there were characters (many cast members would "double") the cast usually outnumbered the crew. The reverse was true for most of Olmsted's short story programs; often the entire cast was Olmsted himself! While the announcer, organist and sound effects man did what they had to to make a good program, Olmsted simply read the stories as written. However, he had the ability to make the words come alive as though they were coming directly from the writer's mind. This approach had less to do with the preservation of great literature than it did in making inexpensive radio drama. Olmsted got his start at WBAP, Ft. Worth. "Dramatic shows cost money and there were no budgets. The cheapest drama for radio I could think of was good literature, read aloud." When the network brought Olmsted to New York, he had his format set. Since short stories are a respected form of serious literature, the various versions of the Short Story program came from the auspices of the NBC University of the Air. In literature, short stories are generally narratives with a limited cast of characters involved in a self contained incident. Although Olmsted originally developed his style for horror tales like those of Edgar Allen Poe, it was also incredibly effective for more psychological fare, like Caroline Slade's "Mrs. Sabin". When TV began to compete with radio, Olmsted simply changed in literature adaptations to plays rather than monologues. 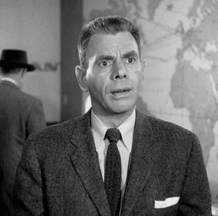 He appeared on the television adaptation of Lights Out in 1950. These recordings are part of the larger Nelson Olmsted Collection. Be the first to comment on "Nelson Olmsted Short Stories"